Ramel Rones, author with David Silver, of award winning books and DVDs, Sunrise Tai Chi—Simplified Tai Chi for Health & Longevity and Sunset Tai Chi—Simplified Tai Chi for Relaxation and Longevity, will be the guest speaker on “Your Holistic Health—Listen Now” weekly radio program on Monday, Dec. 19 from 5:30 to 6 p.m. The host will be Dr. Cathy Rosenbaum, a holistic clinical pharmacist. Dr. Rosenbaum traveled to China in 2002 to study herbal research and global health care solutions, and now shares her expertise in non-traditional medicine with WMKV listeners on a weekly basis. Your Holistic Health gives its audience practical tips on how to integrate body mind spirit principles into everyday living, and each show focuses on wellness and prevention. John Donohue, an expert in martial arts with a PhD in anthropology will hold an Author Appearance and Reading featuring his latest book, Kage—The Shadow, at 2 p.m. on Saturday, Dec. 17 at the Brighton Branch Library, 40 Academy Hill Road, Brighton, Mass. (617) 781-6032. John Donohue is the author of numerous academic and popular articles and books including the Connor Burke/Yamashita thriller series, Sensei, Deshi, Tengu, and Kage. “Peppered with musings of Eastern philosophy, gritty cop lingo, and occasional understated humor, this mystery (series) will appeal to all kinds of readers…” Publisher’s Weekly. Dr. Yang, Jwing-Ming and the YMAA Retreat Center are now accepting applications for five more students in a full-time immersive traditional Chinese kung fu training program. Established in 2005, the Retreat Center in Northern California is intended to promote and preserve a high-standard of traditional martial arts. Currently, five students live and train with Dr. Yang on a daily basis as part of a 10-year master's program. These five exceptional students were accepted after an extensive application process. Now that the nonprofit Retreat Center is established, a second group of students will be accepted for study beginning in September 2013. All students who successfully complete the program will graduate in June 2018. Michael Clarke, 7th dan, will be the guest instructor at an all-inclusive three-day, karate camp, from Friday, Nov. 25 through Sunday, Nov. 27 at the Mt. Evelyn Recreation Camp Victoria, Australia. 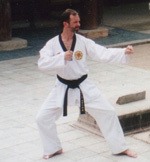 Clarke is a lifelong karate student and follows the Okinawa Karate-Do tradition. His karate skills and insights are the perfect complement to Shotokan Karate. 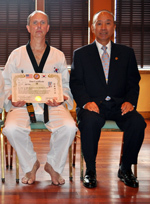 W. Stark, 6th dan JKA and other senior licensed instructors also will lead the camp. Clarke is the author of The Art of Hojo Undo—Power Training for Traditional Karate and his latest YMAA book, Shin Gi Tai—Karate Training for Body, Mind, and Spirit. 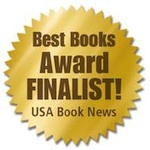 On Nov. 1, 2011 three YMAA Publication books were announced as finalists in the National Best Books 2011 Awards sponsored by USABookNews.com, an online magazine and review website for mainstream and independent publishing houses. YMAA finalists are: Kage—The Shadow by John Donohue in the "Fiction: Thriller/Adventure" category and two in the “Sports: General” category Sunset Tai Chi—Simplified Tai Chi for Relaxation and Longevity by Ramel Rones with David Silver and Facing Violence—Preparing for the Unexpected by Rory Miller. Jeffrey Keen, president and CEO of USA Book News, said this year’s contest yielded an unprecedented number of entries, which were then narrowed down to 500 winners and finalists. The I Ching, or Book of Changes, is an ancient Taoist classic. From it we learn that "everything happens in its appointed time." Master Doug Cook, 6th dan black belt, school owner, book author, and magazine writer, couldn't agree more. Where most practitioners begin their journey through the martial arts during their adolescent years, Master Cook began his taekwondo training in his late thirties; and if you ask him, he will confirm that the time was right. This interview by John Jordan appears in the October Totally Tae Kwon Do online magazine. It reveals a lot more about Doug Cook and touches upon his passion for writing, Taekwondo—Ancient Wisdom for the Modern Warrior, Traditional Taekwondo: Core Techniques, History and Philosophy and his most popular work to date, Taekwondo—A Path to Excellence, all YMAA Publications. YMAA Author Kris Wilder was interviewed October 5th on New Day, a Seattle-based TV program. In the video, Wilder discusses the concepts contained in the new book "How To Win a Fight". The book, co-authored with Lawrence Kane, is a republication of the "The Little Black Book of Violence" , originally published by YMAA Publication Center. Wilder and Kane have co-authored a series of excellent books together which help to inform citizens on the reality of violent encounters and their aftermath. Chin Na In Depth 10-Year Anniversary! The price is now reduced on the Chin Na In Depth DVD series. These detailed instructional videos have been used worldwide by martial artists, police, and military personnel as the go-to guide for grappling and joint-locking techniques. 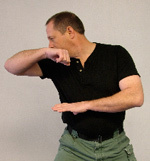 Chin Na is effective for all martial art styles, and an important part of your self-defense training. These multi-language DVDs contain an encyclopedic overview of the art of Chin Na, with over 100 beginner, intermediate, and advanced techniques, including leg Chin Na and Chin Na counterattack. Seize control of your grappling skills with the Chin Na in Depth series. Now at the new lower price of $59.95 each. Doug Cook, YMAA author and director of Chosun Taekwondo Academy, will be hosting an intriguing exploration of the ancient Chinese classic, the I Ching. The workshop will be held on Saturday, Sept. 24 from 7 to 10 p.m. at Chosun Taekwondo Academy, 62 Main St., Warwick, N.Y. Jed Bark will be the speaker. I Ching has long been considered the cornerstone of Taoist doctrine, and he will discuss the history, principles, and also demonstrate the manipulation of The Book of Changes. Preregistration is suggested, as space is limited. There is no charge for this event. A new YMAA Publication author was recently inducted into the Masters Hall of Fame, Anaheim, Calif. receiving the Golden Life Achievement Award. 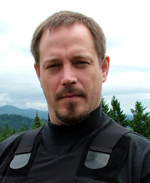 Although new to YMAA as an author, Loren W. Christensen, is not new to the world of martial arts or writing. He is a Vietnam veteran, retired police office from Portland, Ore., a martial artist since 1965 and a prolific author of books and magazines. Over the years he has earned eleven black belts in three martial arts systems, 8th dan karate, 2nd dan aiki jujitsu and 1st dan arnis. Coming in January 2012, YMAA Publication Center will publish, Dukkha, a martial arts fiction book. The title is a Pali term that corresponds to such English words as pain, discontent, unhappiness, sorrow, affliction, anxiety, discomfort, anguish, stress, misery, and frustration. "The Violence Dynamics" seminar focuses on using your martial art skills to defend against real world violence. Join Rory Miller, Marc MacYoung and Kasey Keckeisen Sept. 25 through Oct 2 for a week's worth of conflict applications taught by the best. There are evening and daily sessions available. The seminar will cover Conflict Communications, Edged Weapons, Practical Applications of Martial Art, and Martial Mechanics. The event will be held at Mermaid Convention Center, 2200 County Rd. 10, Mounds View, Minn. Prepayment is suggested in order to reserve your chosen session. Miller is an YMAA author with recent books, Facing Violence and Meditations on Violence, MacYoung has written 21 books and videos, and Keckeisen holds a teaching certificate from the International Yoshinkan Aikido Federation. All three are experts in violence and confrontation. 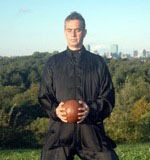 Tufts New England is featuring the Sunset Tai Chi book and DVD in their webstore! This program by Ramel Rones was used with fibromyalgia patients in a study at Tufts showing the benefits of Tai Chi for Fibromyalgia, which is a stress-related disease that affects millions, especially women. Tufts are offering a special package of the book and DVD together for $49.95. YMAA author Doug Cook was recently awarded his 6th degree black belt at a promotion examination overseen by martial arts legend Grandmaster Richard Chun. 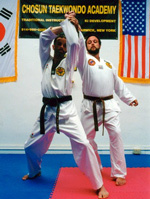 During the two-hour testing process, Cook was required to demonstrate proficiency in skills ranging from complex self-defense techniques, poomsae – the choreographed, dance-like formal exercises unique to taekwondo – and a period of free-sparring. The event culminated with the breaking of multiple pieces of wood with intense kicks and hand strikes, which is a dramatic component of the Korean traditional martial art expressing raw power and focus. 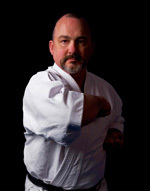 Aside from his teaching responsibilities as owner and head instructor at the Chosun Taekwondo Academy, Warwick, N.Y., Cook has authored three best-selling books, Taekwondo—A Path to Excellence, Traditional Taekwondo—Core Techniques, History, and Philosophy, and Taekwondo—Ancient Wisdom for the Modern Warrior. He is featured regularly in various martial arts journals and periodicals. Our YMAA authors are always on the move teaching, writing, training and in this instance making a podcast. 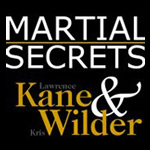 Lawrence Kane and Kris Wilder, co authors of The Way of Kata—A Comprehensive Guide to Deciphering Martial Applications and The Way to Black Belt—A Comprehensive Guide to Rapid, Rock-Solid Results, have a crisp, informative, and fun podcast called Martial Secrets. You can get in on iTunes or directly from the website. Try it on for size; we think you will like it. Dr. Yang, Jon Chang, Santi Costello, Patrick Manriquez, and Javier Rodriguez attended the 3rd Annual Tiger Claw Kung Fu Magazine Championship. The night before the tournament, Dr. Yang attended the welcoming banquet with Grandmaster Liang, Shou-Yu, Master He, Tao, GM Chu, Chi-Ling, and Master Grace Wu. Dr. Yang demonstrated Yang Taijiquan with jing during the tournament. Each of the students competed in several categories, and won several awards. Read more. Rory Miller, author of the widely-acclaimed book Meditations on Violence, will teach Self-Defense Tactics and How to Recover Under Overwhelming Force at YMAA Boston, in Jamaica Plain, MA on Friday, August 12th, from 6 - 9pm. Rory has over 2 decades worth of experience in various highly qualified positions, including corrections officer, sergeant, security guard, tactical leader, and Combat Medic in the National Guard. If time permits, Rory will be available to address any specific questions or scenarios that you may have in mind, including Environmental and Ground Fighting, Logic of Violence, and Conflict Communications. Video on Nicholas Yang Seminar, Independence, Mo. Blue River Martial Arts Club hosted a seminar with Nicholas Yang at Blue River Community College to benefit the college's Single Parent Book Loan Program. YMAA sponsored the program. The college recently created a video of that event held on April 1, 2. Yang is president of YMAA International and an instructor in Shaolin Long Fist Kung at the Boston school. Lawrence Kane and Kris Wilder interview Rory Miller on Martial Secrets Podcast. All three are YMAA authors, with award winning books, but this interview is focused on Rory Miller's new book, Facing Violence—Preparing for the Unexpected. Kane says that Miller's other book, Meditations on Violence—A Comparison of Martial Arts Training and Real World Violence is the cornerstone of keeping you from doing dumb things. But his new book really points out seven elements worthy of more discussion, including legal, violence dynamics, avoidance, counter-ambush, breaking the freeze, the fight, and the aftermath. Miller, with over 300 prison-fights and recently returning from Iraq, lives with reality and is not the dojo darling. Miller says that ambush and assault doesn't happen until you are in it and nothing normal happens as you learned in a dojo. He also commented that anytime you don't fight, it's a good thing. It's a fascinating 22 minute discussion with three major players. Watch for part 2 soon. Pre-registration for the 2011 California Summer Seminars ends on June 10. There are still a few spaces available, so if you are interested, please act quickly. Because of the YMAA International Summer Camp in Poland, Dr. Yang, Jwing-Ming is offering five seminars at the YMAA California Retreat Center, instead of the usual six this year (July 22nd – August 26th). Summer seminars include: Taijiquan (Tai Chi) and Applications, Taiji Pushing Hands, Taiji Fighting Set, Qigong-1 (Qigong Theory and Spine Qigong), Qigong-5 (Qigong Massage). Register here. You are also always welcome to train at the Retreat Center during the regular training times (September 1st – December 15th; January 16th – June 30th). 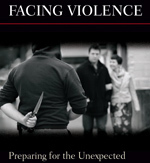 Dr. Helen Smith, on her blog, which relates to commentary on popular culture and society mostly from a psychological perspective, recently reviewed Rory Miller's newest book, Facing Violence—Preparing for the Unexpected. The review can also be found at Instapundit. Dr. Smith said overall it's a very good book for learning specific techniques when confronted with violence and a good manual for young guys (or older ones) that tend to be hot-headed and need to learn to manage their anger. For those who are not criminals and predators, but just innocent potential victims, a clear mind allows focus and forethought on the task in front of you. If it is unexpected violence, a plan is good; a head clouded with legal fears is not. Dr. Helen Smith is a forensic psychologist who specializes in violent children and adults. She holds a PhD from the University of Tennessee and a master's degree from The New School for Social Research and one from the City University of New York. The Eric Hoffer Award was presented to YMAA authors in the Health and Finalist categories. In the Health category two books received recognition. Western Herbs for Martial Artists and Contact Athletes by Susan Lynn Peterson, Ph.D, which received recognition as 1st runner up. Tai Chi Ball Qigong for Health and Martial Arts by Dr. Yang, Jwing-Ming and David Grantham received an Honorable Mention. Tai Chi Chuan Classical Yang Style—The Complete Long Form and Qigong by Dr. Yang, Jwing-Ming received a Finalist award. The list for all book recipients in the Health category may be viewed at The Hoffer Awards under Health. The list of Finalists may be viewed at Hoffer Finalists. A review is also posted under Health in the US Review of Books. The Eric Hoffer Award was created to promote writers, authors, and independent presses. And The Hoffer Award honors the memory of the great American philosopher Eric Hoffer. Jorge Alberto Sobrero has been assigned as the new director of YMAA Argentina, following Mario Schwarz's resignation. We are confident in Jorge's abilities to represent YMAA and stay true to our mission. YMAA Argentina is now located in Córdoba, Argentina. Jorge stated, "The more confident I feel as an instructor, the more I want to teach and help other people improve ... I work with the intention of bringing to my students the experience of being in contact with Dr. Yang and the experience of being members of YMAA. Today it is a dream come true. YMAA has its branch in Córdoba, Argentina and we wish it grows more every day." We are also assigning Daniel Chadud, the director of YMAA Chile, to the post of YMAA South American Regional Headquarters. Daniel has shown great resolution, dedication, and heart in the YMAA training, and we believe he will be an excellent leader in pioneering the traditional arts in South America. See our official list of schools. Milford JKA Shotokan Karate Club welcomes YMAA instructors Jeff Pratt and Mark Klein to Connecticut to provide instruction and guidance on pushing hands, the martial application and Health benefits of Tai Chi. Beginners to Advance Level are welcome to the 4 Day seminar. Each Seminar will be from 1-5pm on Saturday, the dates are 7 and 21 May and 4 and 18 June 2011. Please contact Tony Caldas at 203-993-0731 for directions, pricing and training curriculum. Discounts provided to those that register early. Two books received eLit Electronic Book Awards from eLit Awards—Illuminating Digital Publishing Excellence. A gold medal was presented to A Sudden Dawn by Goran Powell in the Historical Fiction category. A gold medal was also presented to Tai Chi Chuan Classical Yang Style—The Complete Form and Qigong by Dr. Yang, Jwing-Ming in the Sports/Fitness/Recreation category. The eLit Awards celebrate the ever growing market of electronic publishing in the wide variety of reader formats. The program is presented by Jenkins Group Inc., a Michigan-based book publishing and marketing services company. Nicholas C. Yang, president of YMAA International, and instructor in Shaolin Long Fist Kung Fu Advanced Sequences DVD, donated his time and recently gave a two-day seminar at MCC: Blue River Community College, Independence, Mo. The seminar was hosted by the Blue River Martial Arts Club under the direction of Eric Parsons, martial arts instructor and teacher at the college. YMAA Publication Center was the sponsor. Proceeds from the seminar were donated to the college's Single Parent Book Loan Program. Attendees came from all over the Midwest to attend this seminar. Learn how simplified tai chi can promote relaxation and longevity by world-renowned martial artist, Ramel Rones. He will present at the Brighton Library, 40 Academy Hill Road, Brighton, Mass. on Thursday, April 28 at 6 p.m. (617) 782-6032.The audience will be invited to participation in an interactive demonstration of this popular form of mind and body exercise. The event is free and open to the public. He is the author of the Sunrise Tai Chi book and DVD series. 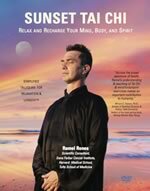 Ramel Rones is a qigong instructor at the Dana-Farber Cancer Institute and a consultant at Harvard and Tufts Medical Schools. Using elements found in his newest book, Sunset Tai Chi—Simplified Tai Chi for Relaxation and Longevity, the New England Journal of Medicine recently published findings that Yang-style Tai Chi may be useful in treatment of Fibromyalgia. Dr. Yang visited Brazil with his son Nicholas Yang, president of YMAA International, and Daniel Chadud, director of YMAA Chile. During his visit, Dr. Yang offered Chin Na seminars for practical self-defense. The Chin Na seminars were part the "Seminário Internacional da Confederação Sulamericana de Defesa Pessoal", held in Fortaleza, on March 26 and 27, and hosted by Mestre Paulo Braga. At the opening ceremony, Dr. Yang was greeted by the Military Police band of Ceara who played the national anthem of Brazil. TV Verdes Mares produced a short report for the Globo Esportes program and interviewed Dr. Yang (YouTube video). 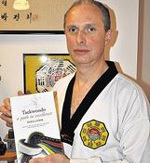 Author Doug Cook will participate at a local author book fair on Sunday, April 10, from 1 to 4 p.m. at the Albert Wisner Public Library, 1 McFarland Drive, Warwick, N.Y. His newest book, Taekwondo—A Path to Excellence is the recipient of "Best Book Finalist, USA Book News" and will be showcased at the event. 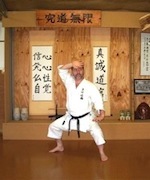 Author of three books, Doug Cook holds a 5th dan and resides and teaches in Warwick, New York. Kris Wilder will hold a seminar working five hours of mechanics and power generation, open to all styles, at Cerezo's Martial Arts, 7217 Florin Mall Drive, Sacramento, Calif. on Saturday, April 9, 2011 from 10 a.m. to 3 p.m. Cost $75 for the day. Visit Kris Wilder's website for more information or contact Sensei Cerezo. Wilder holds advanced degrees in Karate, Judo, and Taekwondo. He is the author of The Way of Sanchin Kata—The Application of Power and the companion DVD Sanchin Kata—Traditional Training for Karate Power. He is also co-author with Lawrence A. Kane, of Little Black Book of Violence—What Every Young Man Needs to Know about Fighting and several other books and DVDs. 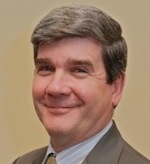 Rory Miller, will present a seminar on conflict communications on Saturday, March 26 from 11a.m. – 8 p.m. at Northwest Martial Arts, 18102-102 Ave. NE Bothell, Seattle, Wash. The seminar will cover "Roots of Conflict," "Subconscious Scripts," "Escalation," and more. Cost is $95 in advance $120 at the door. Visit Rory Miller's website for more information. Rory Miller is the author of Meditations on Violence and his newest book Facing Violence—Preparing for the Unexpected will be available May, 2011 YMAA Publication Center. The YMAA channel has been updated to include many new videos, including the full-length trailer for the new "Kung Fu Body Conditioning DVD". Subscribe now and be the first to see preview trailers for new releases, as well as related videos by YMAA authors and YMAA schools. During March, the YMAA YouTube channel will also begin to offer high-definition programs for rent through YouTube, starting with the Kung Fu Body Conditioning program, in sections: "Stretch and Warm Up - Part 1", "Conditioning Training - Part 2", "Tumbling - Part 3", "Qigong Meditation - Part 4", "Outdoor Training - Part 5". Additional YMAA videos will be added as quickly as possible. 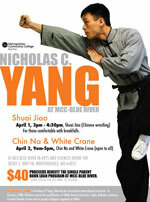 Nicholas C. Yang will be conducting a two-day seminar on April 1, 2 at MCC: Blue River Community College, Rt. 78, Independence, Mo, sponsored by Blue River Martial Arts Club and YMAA. Proceeds from the event will benefit the Single Parent Book Loan Program. On April 1 from 3 to 4:30 p.m. will be the Shuai Jiao (Chinese Wrestling) seminar for those comfortable with break falls. On April 2 from 9 a.m. to 5 p.m. will be the White Crane seminar, which is open to all. You can read more about the seminar and registration at Blue River MA website. Nicholas Yang studied with his father, Dr. Yang, Jwing-Ming since age 8, and today he is President of YMAA International Boston Headquarters. He is the principle instructor of Shaolin and Taijiquan at the school. 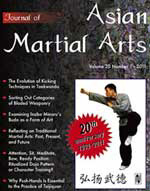 For 20 years, the Journal of Asian Martial Arts has set a high standard of excellence in publishing and promoting the traditional martial arts. YMAA President Nicholas Yang is featured this month in the 20-Year Anniversary issue. In his article, "Reflecting on Traditional Martial Arts: Past, Present, and Future", Nicholas says ""It is one of my biggest dreams to see martial artists of all styles and backgrounds rise together in a united effort to redefine a higher caliber of training and morality, striving to constantly build upon our past, learn from our present, and cooperate together in friendship as a global community for the future." JAMA is available in print and as a digital edition. 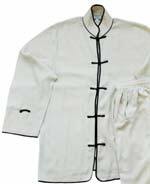 During these past twenty-seven years, YMAA has developed and promoted a line of traditional silk martial arts uniforms using a high-quality noil silk fabric. Our uniforms have been widely adopted as school uniforms around the world. In recent years, it has become increasingly difficult to maintain a consistency in manufacturing these uniforms. Raw noil silk is now more frequently blended into other silk fabrics, and as a result, it is becoming scarce, costly, and inconsistent for the high standards of our uniforms. We are committed to this line of traditional uniforms, and we are aggressively pursuing an alternative fabric. It is our hope to announce a new line of uniforms in the Spring 2011, and make them available later this summer. The current silk inventory is selling fast, and already some sizes are out of stock permanently. Thank you for your patience with this matter. Western Herbs for Martial Artists and Contact Athletes by Susan Lynn Peterson was selected as an Editor's Choice for the Independent Publisher Online Magazine's Highlighted Titled Program. Editor's Choice books are honored each month for exhibiting superior levels of creativity, originality, and high standards of design and production quality. Here's what Jim Barnes, editor of Independent Publishing had to say, "Herbal medicine expertise has long been the realm of Chinese practitioners, but Western martial artists need information about using Western herbs. This book brings a commonsense approach to treating injuries with 64 herbs readily available at American health food stores. By demystifying a complicated topic with well-organized, plainspoken advice, Dr. Peterson has given athletes a unique and valuable resource." 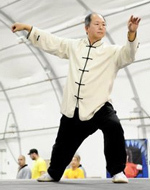 Dr. Yang Jwing-Ming is returning to the YMAA Boston headquarters school to offer seminars on the topics of Yang-style Tai Chi, Pushing Hands, Taiji Fighting Set, Qigong theory, and Five Animal Sports Qigong. The seminars page has more details on the classes, discounts, and lodging options. Dr. Yang will also offer a weekly class on Five Animal Sports Qigong at YMAA Andover from February 8 through February 24. These six 2-hour classes on Tuesdays and Thursdays will include History of the 5 animal exercises, Intro to 5 elements theory, 5 healing sounds for the liver, kidney, spleen, heart and lungs, and the 5 animal sport qigong set. For more info on the Andover class, call Alex at 978-475-2020. This March 2011, Dr. Yang will be traveling to Chile and Brazil, accompanied by his son Nicholas. They will be hosted by Daniel Chadud, director of YMAA Chile, while in Chile, and by Paulo Braga while in Brazil (Escola Chang Hung). Daniel will also be traveling with Dr. Yang and Nicholas to Brazil. In Chile, the seminar will be from March 18-20th in Estadio Palestino de Santiago de Chile. The schedule will be Friday 18th, Qigong Meditation and Embryonic Breathing, and Saturday 19th, Taijiquan Form, and Sunday 20th, Pushing Hands. 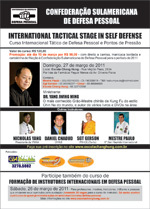 In Brazil, Dr. Yang will be teaching Chin Na for practical self-defense. The first day on March 26th will be a course open to all students. The second day on March 27th will be a course for instructors. This will be Dr. Yang's first appearance in Brazil. Arthur Rosenfeld will be conducting a two-day seminar on Feb. 19, 20, at the Quality Inn & Suites, 30375 Plymouth Rd., Livonia, Mich. Topics covered will be concept of circles and four directions of movement, peng, liu, ji, an. Other presentations will include philosophy, myths, and misunderstandings about weight shifting, force-against-force and advancing the idea of Dantian rotation. Space is limited. You can read more about the seminar and registration their website. Sifu Arthur Rosenfeld is a master in Tai Chi, author of YMAA martial arts fiction, The Cutting Season, Quiet Teacher, speaker and coach, filmmaker of Integrative Medicine series, and as seen on national PBS show "Longevity Tai Chi with Arthur Rosenfeld." A recent article featured Doug Cook, YMAA author and owner of the Chosun Taekwondo Academy, receiving a Finalist Award for his latest book, Taekwondo—A Path to Excellence. The award was sponsored by the National Best Books 2010 Awards. The book focuses on the philosophy and virtues of traditional taekwondo, the Korean martial art of self-defense. This is Cook's third book. He is working on his fourth book in conjunction with martial arts pioneer Richard Chun, president of the U.S. Taekwondo Association. 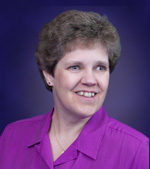 Dr. Susan Lynn Peterson will hold a seminar "Western Herbs for Martial Arts Injuries" at Black Pine Martial Arts, 1116 S. Pantano Road, Tucson, Ariz. on Saturday, Jan. 22, 2011 from 3 to 5 p.m. Learn how to select, prepare, and use herbs to treat common injuries in the martial arts. Subject matter will include: "Basic Safety Principles when Using Herbs," "How to Prepare Infusions, Poultices, Ointments, and Oils," and "How to Select the Appropriate Herb for a Particular Injury." The class will focus on Western herbs readily available in grocery stores and health food stores. Fee $25. Please RSVP to Laura at (520) 909-1355. 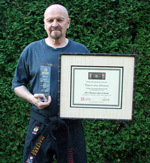 Peterson is the author of Western Herbs for Martial Artists and Contact Athletes. A new YMAA school in south of France (Cevennes), joins the YMAA community. YMAA Cevennes will be headed by Pierre Samouel. Classes are currently being held in two towns Generargues and Anduze. Two small pretty and traditional places for practice traditional internal martial arts of YMAA (Taijiquan style Yang) and Qigong. For more information please contact Pierre Samouel (esprit [dot] du [dot] bambou [at] gmail.com). A recent article by Violet Li named several YMAA authors in a list of top ten Tai Chi and Qigong events for 2010. 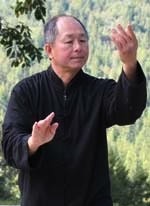 Dr. Yang's Tai Chi teacher, Grandmaster Kao Tao is mentioned for succeeding in touring the US to offer seminars even while the economy was poor. Master Ren Guangyi released a short martial arts film about a dying Tai Chi master, featuring an appearance and music by his student Lou Reed. And Master Ramel Rones is named for his controlled-study with Dr. Chenchen Wang at Tufts School of Medicine using Tai Chi to heal fibromyalgia. The results were published in the New England Journal of Medicine, and are credited for having a "huge impact on raising the awareness of Tai Chi and Qigong among the general population."